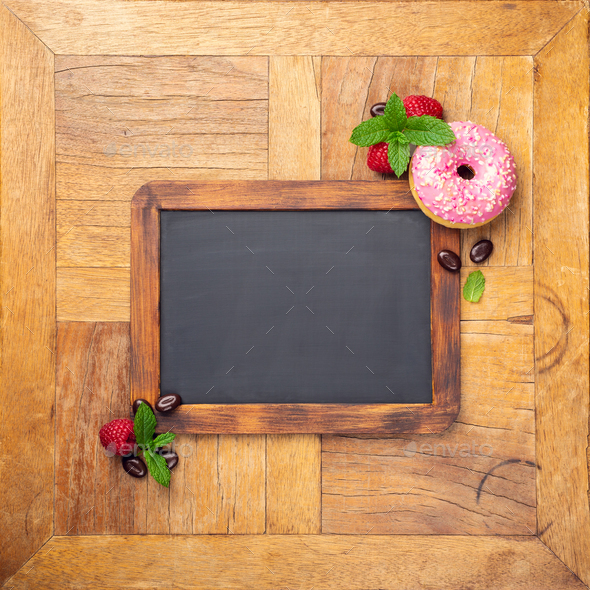 Black chalkboard with pink glazed donut, raspberries and mint on old wooden table. Food background concept for menu, cafe, restaurant. Copy space, flat lay, top view.